This is Part II of a 2-part post. Part I is available here. The second part of Mattarella’s speech gave broader reasons why he could not accept Prof. Savona’s participation in the Government in the specific portfolio of Economy and Finance. Prof. Savona (born in 1936) is a long-standing economist who held top-level positions in the government and in the Italian Central Bank. Paradoxically, he had been a key player in the economic reforms that allowed Italy to join the single currency in the 1990s. In the last few years, he often voiced concern about the Eurozone, and even elaborated a strategy to drive a country out of it (which includes the idea to print new liras in secret, switching to the new currency in a single weekend, with a last-minute notice to other States). Such orientation, which Savona neither retracted nor corrected in a declarationreleased in the afternoon before Mattarella’s speech, was deemed as incompatible with the position requested for him. That appointment could come across as an endorsement by the President of the Republic, who declared himself aware of the “institutional responsibility” that appointment would entail. The refusal of Savona relates specifically to the delicate position of the Minister of Economics and Finance, in light of Italy’s struggle to meet the parameters of economic soundness that Italy contributed to require within the EU. Mattarella acknowledged that the appointment of a person to that post could convey “an immediate message of confidence or alarm for economic and financial players.” Consequently, the President of the Republic considered his duty to avoid sending any signal about a possible exit of Italy from the single currency. He also recalled that this prospect had not been mentioned in the electoral campaign and in the coalition agreement between the League and the Five Star Movement. Many commentators highlighted the Europe-friendliness of Mattarella’s speech. And for sure the will to confirm the Italian loyalty to the EU played a major role in the background of his decision. However, looking closely to the speech he gave, its core seems rather to be much more inward-oriented, with an express reference to the purpose of the refusal being that of “tangibly reaffirming Italian sovereignty.” The main line of reasoning contains references to Italy’s commitments towards the EU and the Eurozone. Nonetheless, the crucial point on which the President seemed to hinge is veto was the protection of “the savings of Italian citizens” from the swing of financial markets and the impact on mortgages and loans of the hikes of the spread between Italian and German bonds. In conclusion, the President of the Republic’s decision to re-affirm his role in the appointment of the Ministers must be considered fully correct. This decision exemplifies the function of those institutions charged with the task to mediate and cool down conflicts, tempering the possible excess of the majority and thus integrating those “forms and limits” of popular sovereignty enshrined in Art. 1 of the Constitution. Perhaps, the weak point of Mattarella’s speech was its length and the level of detail of the motivation. It would have been sufficient to note that the President of the Republic cannot be coerced to take a passive role in the appointment of Ministers, especially when he would have accepted other candidates in line with the program of the same political platform. The rest of the speech, however convincing, is likely to backfire. By referring to the need of avoiding speculations on the financial markets (that anyway occurred in the subsequent days) the President exposed his decision to criticism. Namely, one could argue that Mattarella’s choice signaled the subordination of domestic institutions to external factors, and to new forms of intermediation that can override the will of the people. Ultimately, when Mattarella pointed out that the prospect of leaving the Euro (and the EU) had not come up during the electoral campaign, he might have made a dangerous suggestion to populist and anti-European movements for the next electoral campaign. After Prof. Conte withdrew on Sunday 27 May 2018, the government led by him was eventually appointed on Friday 1st June, only five days later. In the meanwhile, the President of the Republic had attempted to give the mandate to a “neutral” government (with the only task to bring the country to new elections after the summer) under the guidance of Carlo Cottarelli, economist, for many years at the IMF and in 2013-2014 in charge of drafting a plan for the spending-review. When it became clear that he had very little chances to get the confidence in the Parliament, and that a new agreement among political parties was feasible, Cottarelli stepped down, giving way to the “political” government supported by the League and the Five Star Movement. The President of the Republic was able to nudge the political parties to choose a different Minister for Economy and Finance (Giovanni Tria, in the past President of the National School of the Public Administration) and a reassuring Minister for Foreign Affairs (Enzo Moavero Milanesi, formerly Minister with Mario Monti and Judge of General Court of the EU). He had however to accept Prof. Savona in the government, in charge of (paradoxically) EU affairs. In the aspirations of the supporting political parties, the Government born on 1 June 2018 would last as long as needed to implement the coalition agreement signed by them, which includes major (and extremely costly) innovations, such as a general fiscal reform with a single tax rate (so called flat tax), a national minimum wage and a new pension reform, jointly estimated to amount to not less than 100 billions Euros. The compatibility of such an ambitious plan with the troubled Italian budget is to be verified. The weakness of the President of the Council of Ministers, surrounded by the two powerful Vice-Presidents Salvini (Minister of Interiors) and Di Maio (Minister of Labour and Economic development), and the heterogeneity among Ministers will be tested in practice. The President of the Republic used his powers correctly, even though pushing them to their extreme limits before a political system that follows complete different logics. He took a huge risk first in vetoing Savona and then in accepting him in a different office. In between, he was even threatened to be put under accusation (a sort of impeachment, never activated in the Italian history). The equilibrium reached with the formation of the Conte government seems to be very precarious, not only in political terms. Also the resilience of the republican institutions seems to be highly under pressure. The clash between the parliamentary majority and the President of the Republic may be only a signal of a much deeper difficulty of the political system. To put it in meteorological terms: it was surely a storm; only the next future will tell us whether it was also the anticipation of a much wider climate change in Italian politics and society. 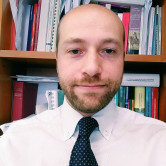 Giovanni Piccirilli is Assistant Professor in Constitutional Law at the Law Department of LUISS Guido Carli University of Rome.